2nd theatre on the site built by José Arnavat. Opened 1892. 1905 rebuilding. 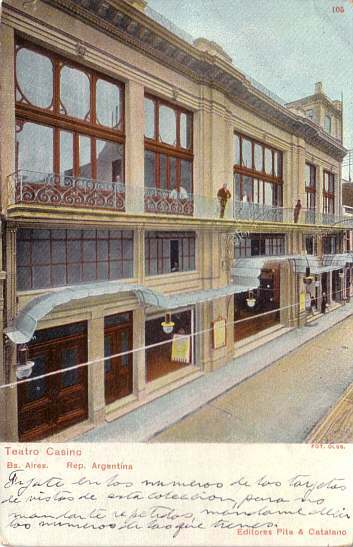 Front Text: "Teatro Casino, Bs. Aires, Rep. Argentina"